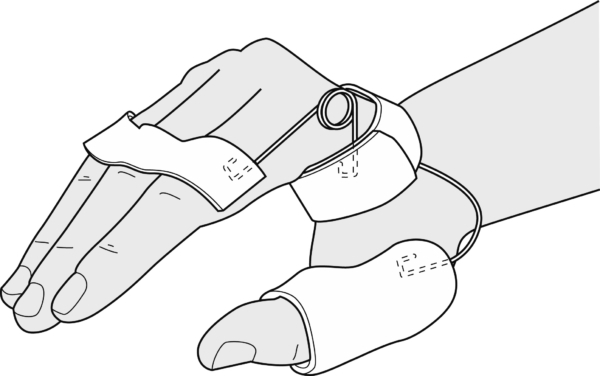 To support the intrinsic muscles (third finger and little finger for ulnar nerve unjury, and all the fingers for combined injuries) + m.opponens pollicis. 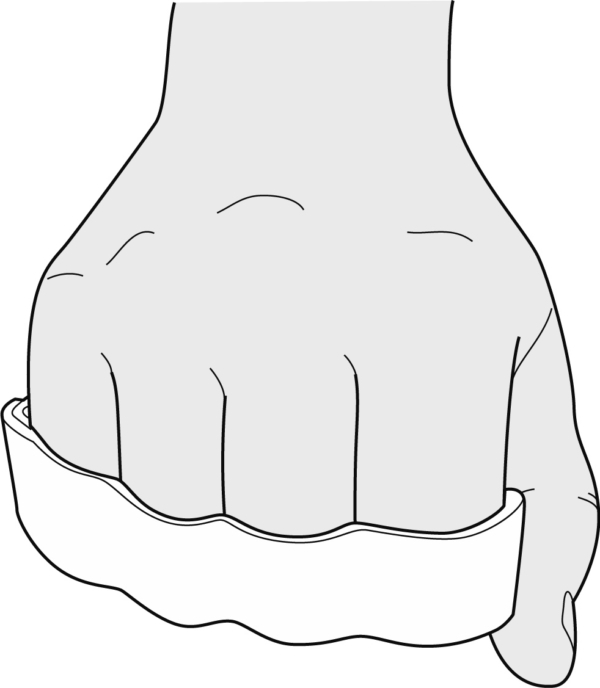 All intrinsic minus deformities (claw hand) with absence of joint contractures such as seen with peripheral nerve lesions, leprosy, poliomyelitis, Guillain-Barré syndrome, etc. 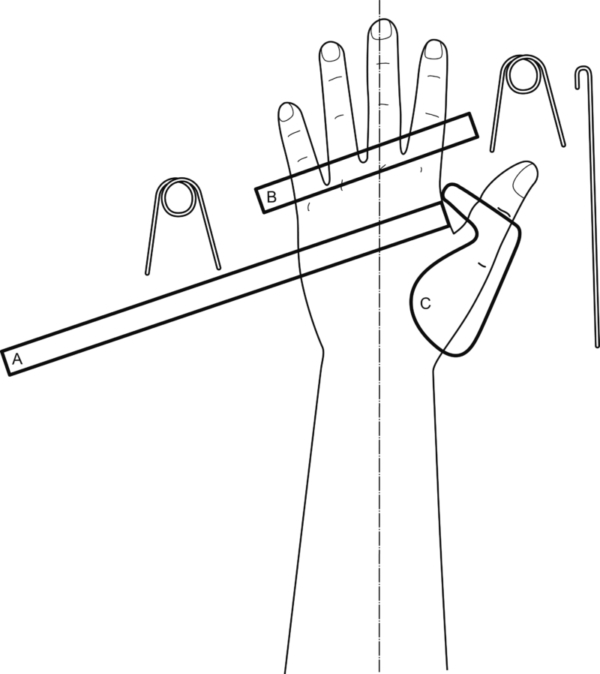 Mould strap A from the ulnar aspect of the hand over the palm and around the metacarpals. 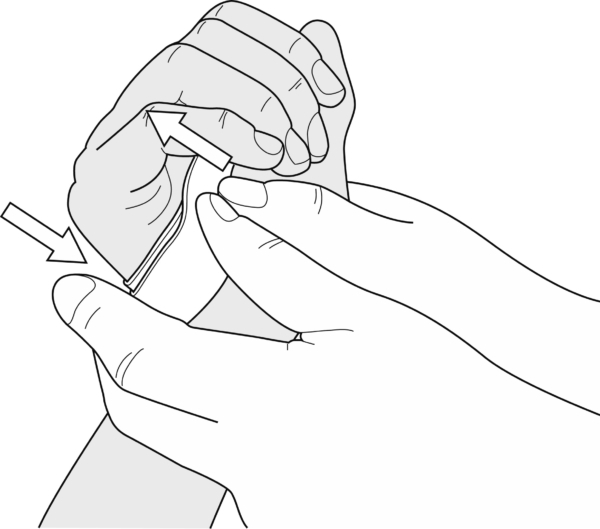 Overlap in the palm of the hand but do not press to avoid permanent bonding. 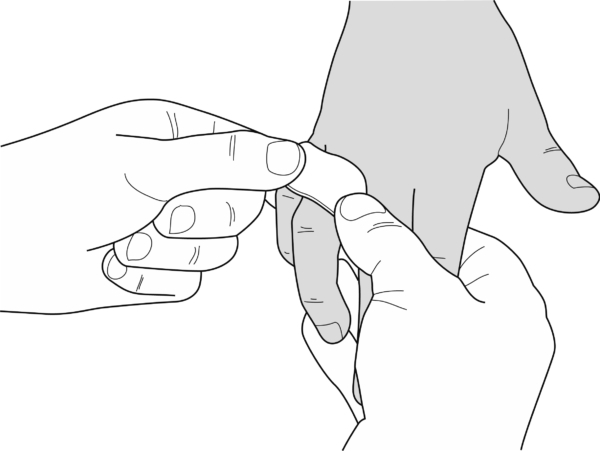 Adjust the metacarpal ring, so that the palmar section reaches the transverse crease, and the dorsal section reaches the wrist. 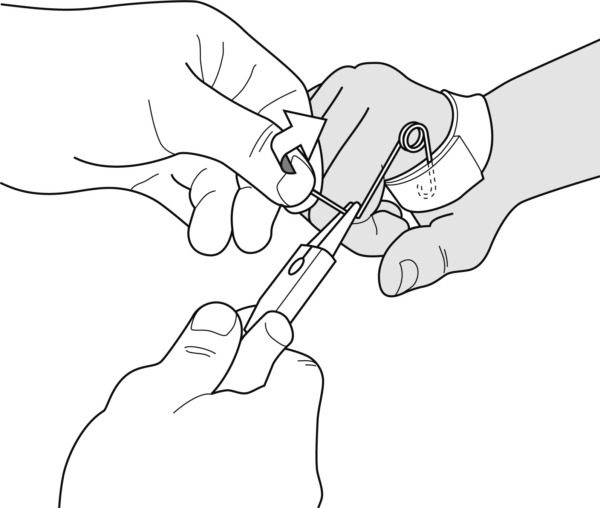 Loosen the overlapping portion on the ulnar side. 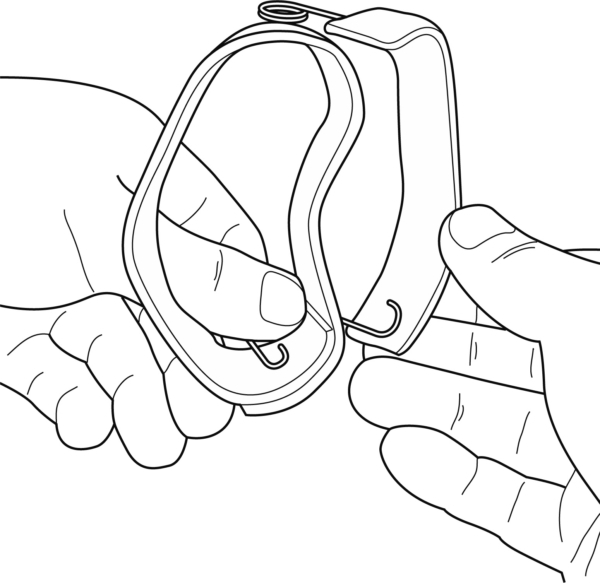 U-shape the spring arm and melt it into the plastic. 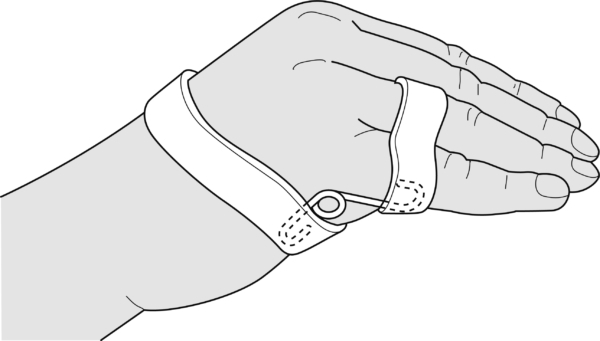 Mould strap A around the ring finger and over the little finger covering the lateral aspect only. 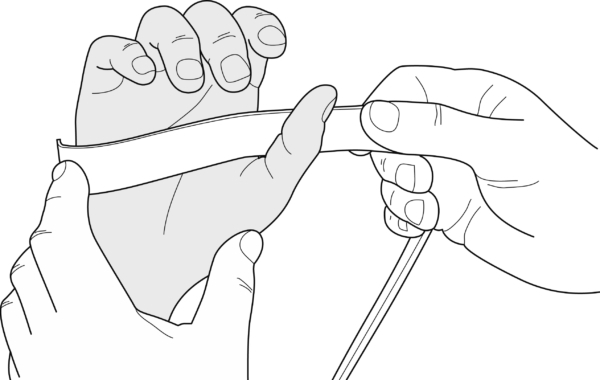 Measure the length of the free spring arm, bend in a U-shape and cut to length. by sticking a small layer of Orfit Classic on top. 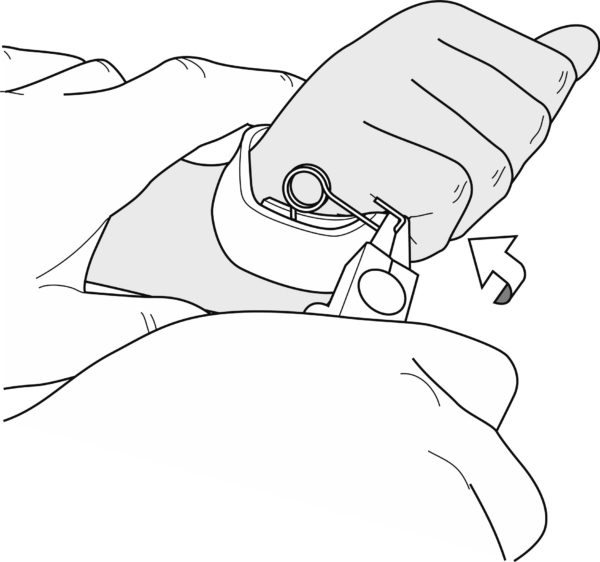 Loosen the overlapping portion on the radial side, and attach a spring in the same way as for the ulnar length. Bend and cut to length. Mould strip B over all the fingers up to the PIP joints. Melt the spring arms in their respective places. Consolidate the attachments by sticking a thin layer of Orfit Classic on top. Mould piece C on the metacarpal of the thumb and around the first phalanx. 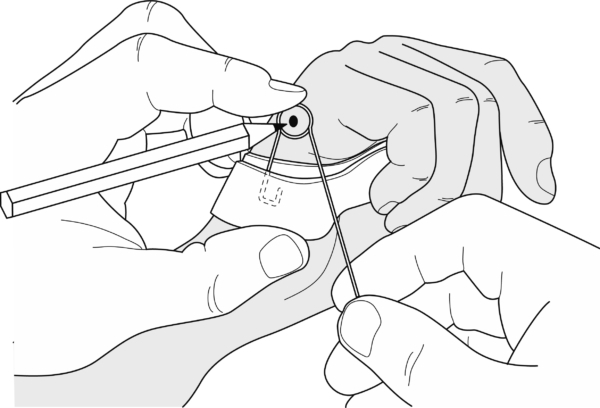 Make a U-shape in a spring wire 1.5 cm thick, heat it and melt it onto the dorsal aspect of the metacarpal ring. 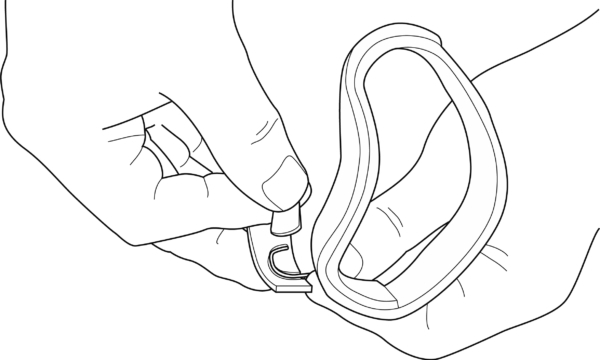 Cover the attachment with a thin piece of Orfit Classic. 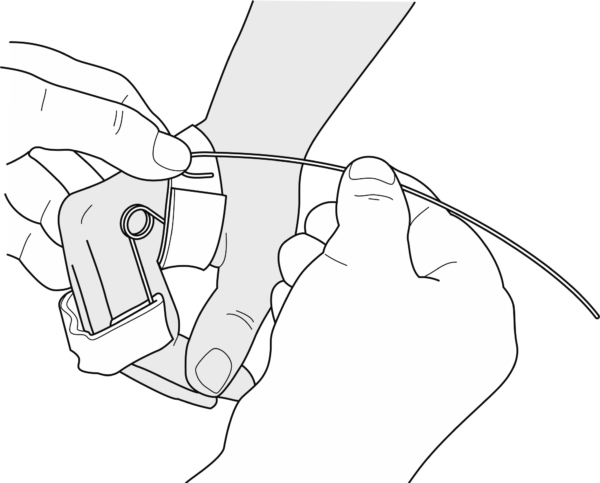 Bend the wire to correspond with the width of the first web space, measure the length, make a U-shape and fix it into the thumb piece. 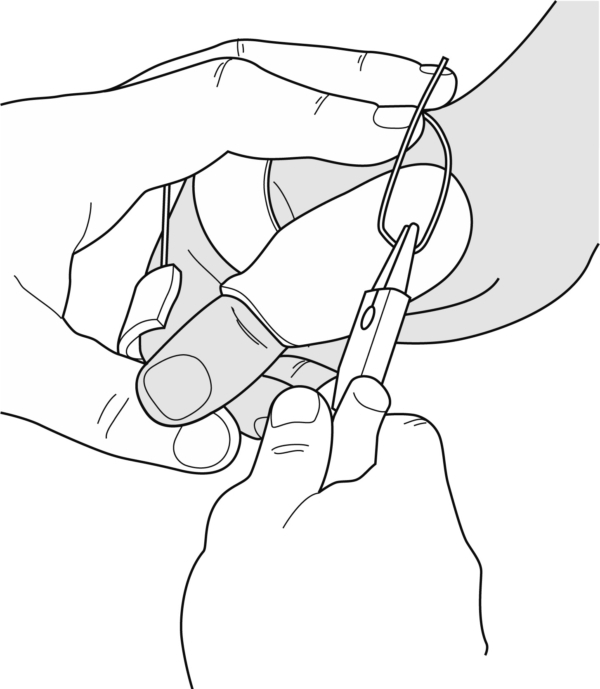 Bend and twist the spring wire in such a way that the thumb piece comes in (exaggerated) opposition (not shown).